Lakes throughout the United States have withstood a number of invasive species – primarily species of carp – such as a notorious Asian import known for leaping directly into boats in the Great Lakes region, but one recent case in Boulder, Colorado has drawn a great deal of public attention. This outbreak is the result of koi, a handful of large goldfish that were dumped into the lake by their previous owner. In just a matter of three days, the fish reproduced – not only successfully, but yielding numbers in the thousands. The sudden explosion of exotic fish in just a short time could be disastrous in the long term. They have no real predatory threats and while they’re a popular item for garden ponds, they’re not indigenous to anywhere in North America. As such, biologists and environmentalists are trying to determine the best way to remove the fish. “Based on their size, it looks like they’re 3-year-olds, which were probably produced from a small handful of fish that were illegally introduced into the lake,” Ben Swigle, a fish biologist from Colorado Parks and Wildlife (CPW), said in an interview with Live Science. A ranger estimated the presence of somewhere between 3,000 to 4,000 goldfish just a few weeks ago in Teller Lake #5 off Arapahoe Road in Boulder and reported the sighting to CPW. “If they escape and move downstream, they’ll directly compete with our native species, all of which were here before the land was even settled,” Swigle said. Extreme enough numbers may choke off food supplies entirely, causing substantial numbers of fish to die off and pollute the water. In addition, Teller Lake contains at least three or four species of fish under the statuses of threatened or as “species of concern” which only live downstream. These include the stonecat, a dwarf species of catfish, along with the common shiner which is a popular food source of game fish such as pickerel and the brassy minnow, which is instrumental in keeping down populations of mosquito larvae. The diet of all of these fish is primarily plankton and small insects, a diet identical to the goldfish, according to Swigle – indicating that the entire ecosystem is already at stake. “If they [the koi] explode and get downstream and potentially explode, there they are competing with these fishes not only for spawning habitat but also for foraging resources,” he said. If they don’t drive out native species by overpopulating and devouring their food supplies, the koi goldfish may also be harboring viruses or other parasitic infections that tend to run rampant in aquarium environments. While game fish are routinely tested in fisheries before they are released into lakes, pet goldfish are not rigorously tested for disease, Swigle said. Aquarium fish have been known to carry the viral hemorrhagic septicemia virus (VHSV), which was responsible for an epidemic that wiped out thousands of fish throughout the Great Lakes, as well as a bacterial kidney disease, which has also been found in aquarium fish. Consider that while a ranger discovered this particular infestation, there are a number of cases where goldfish from ponds find their way into main waterways throughout the United States on a daily basis and go unnoticed. The scientists with CPW are currently weighing three different possibilities for stemming the invasion of exotic goldfish explosion. Lake officials could simply drain the lake and extract the koi, use electromagnetic waves to stun the fish and then carry them out by net, or to release a chemical called rotenone which disrupts respiration in order to remove the fish from the water. If park officials successfully remove the fish, they hope to bring some of them to nearby raptor sanctuaries where they will be used to feed to injured hawks, ospreys and eagles, said Swigle. This is hardly even the first time that aquarium trade fish appeared in the Colorado region with such large numbers. A similar occurrence took place in November 2012, when some 2,275 koi goldfish were discovered in Boulder’s Thunderbird Lake and had to be removed from the area. Officials suggest that the population originated there two or three years before they were discovered, the offspring of some unwanted pet fish, as CPW said in an official statement. 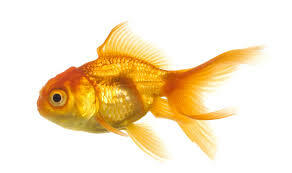 While goldfish are fairly low maintenance pets with minimal care and a fairly affordable price tage, owners should consider how long they are sometimes capable of lasting, as well as the sizes they are capable of growing to – generally reflective of the tank in which they are kept. “Goldfish are not a native species and are very harmful to the local aquatic ecosystem,” Kristin Cannon, district wildlife manager for Boulder, included in the CPW statement. “We strongly encourage the public not to dump their unwanted pet fish in our waters. It is bad for our environment as well as illegal.” Of course, goldfish are hardly the only species being released into the wild. Florida is currently experiencing a problem with large numbers of lionfish, indigenous to the Indian Ocean but popular in the marine pet trade. The sunshine state has responded by encouraging fishing of the unusual quilled fish. The most recommended and desirable way to get rid of any unwanted aquarium fish is by looking to sell them back to local pet shops, according to Sue Williams, who teaches evolution and ecology at the University of California, Davis Bodega Marine Laboratory. Pet owners who wish to dispose of their fish in a humane way should review the guidelines put forth by the American Veterinary Medical Association in a 2013 report on the euthanasia of animals. Some acceptable methods it offers up are a process of immersing the fish in anesthetic solutions or an injection with a ketamine-based solution. The report, found on their website, gives an overview of other acceptable methods, if and when, and also lists unacceptable ones. While the popular time-honored method is flushing your fish, this is hardly always the best idea, as a number of fish, such as guppies, can sometimes survive the flush, enabling their spawn to gradually enter natural waterways.